There are a lot of generators, I tried docpad, gohugo and really like the gatsby. I use FastMail for my personal and corporate email, and it works fantastic. Even if you add multiple domains, you can configure the MX DNS entries to FastMail, add Personas and you can have infinite email addresses, but pay for a single user. It’s really good. 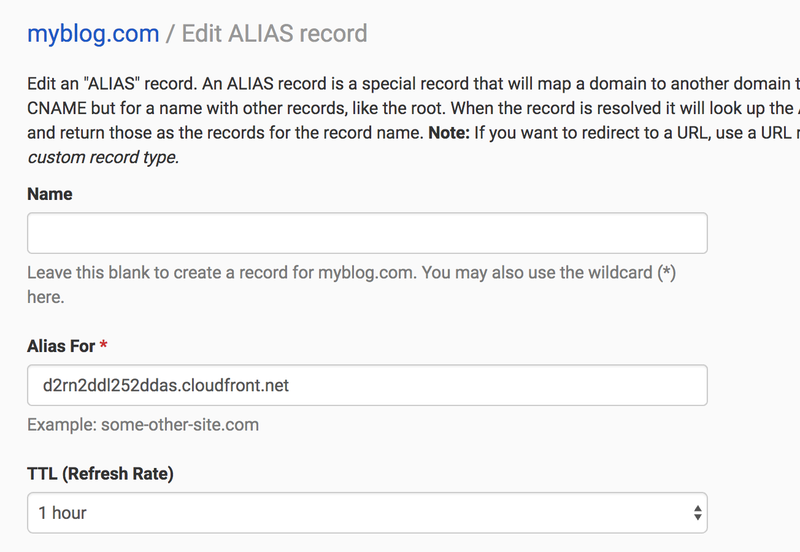 I think it makes sense to host the DNS separate from your domain register, and DNSimple is one of the few that provides DNS hosting with Alias, so use them — with this link you and me will both get $5. I use dreamhost (their latest UI tricks the user too much, so I won’t recommend them. One advantage is that privacy is included in the price). I guess any domain registrar will work. 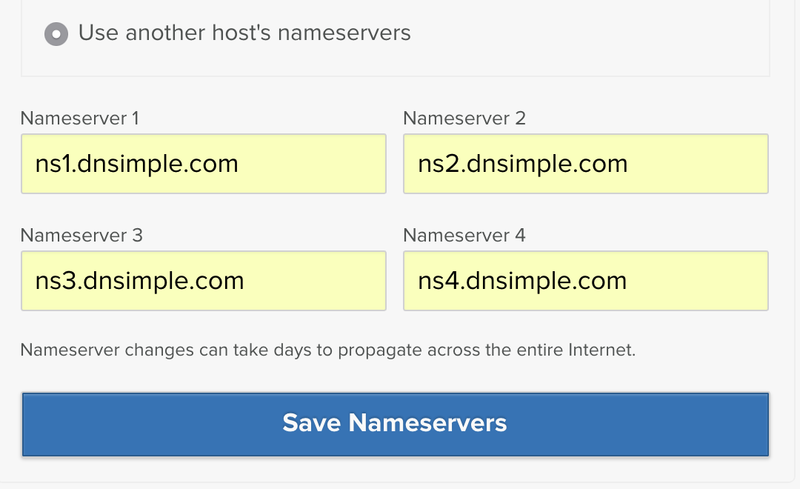 After buying the domain, set the namespaces to ns1.dnsimple.com, ns2.dnsimple.com, etc. Make sure your website can be open on the s3 public URL. If everything was filled up properly when you bought your domain and configured mail for it, you would get a batch of emails from Amazon, click on the provided link, and you are set. 5. Add CloudFront facade for your s3 bucket. Also check the redirect to HTTPS. Test the website on the URL for CloudFront. 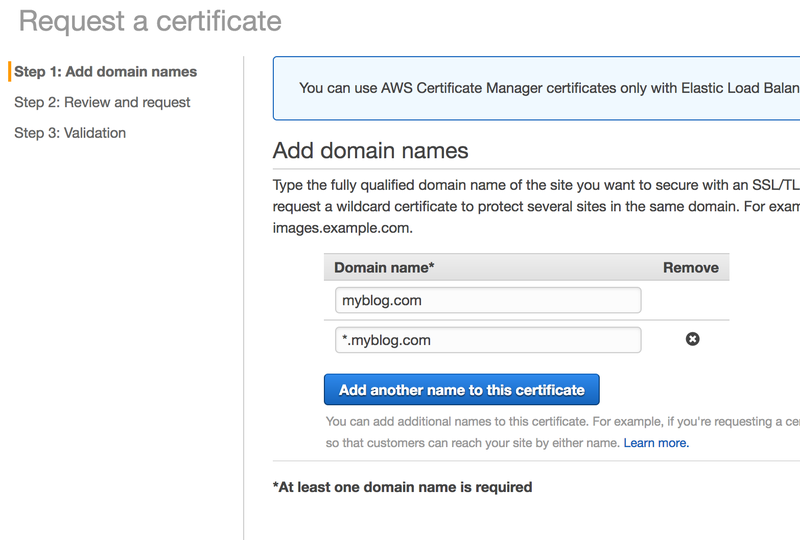 Pay attention that DNS entries must propagate, it can take a few minutes to hours to finish. But at the end, opening myblog.com should redirect to https://myblog.com.